Javier López Gallery proudly presents the first soloshow in Spain of the British artist Jane Simpson (1965). Jane Simpson is known as part of the generation called Young British Artists (YBA) championed by Damien Hirst and lately presented in the controversial exhibition “Sensation” (The Saatchi Collection of British Art in the 90’s). 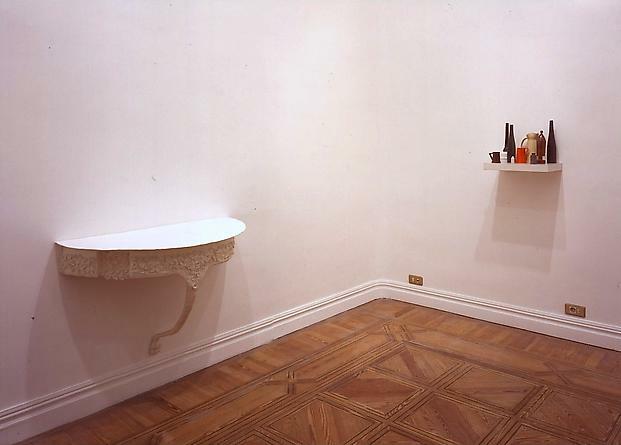 The YBA, the strongest group of British artists since Pop Art, is characterized for their new and radical attitude toward materials, and in fact, the most representative work of Jane consists of reproductions of domestic utensiles and furniture, realized in rubber or silicone, manipulated both in scale and original color, and later submitted to extremes of hot and cold. 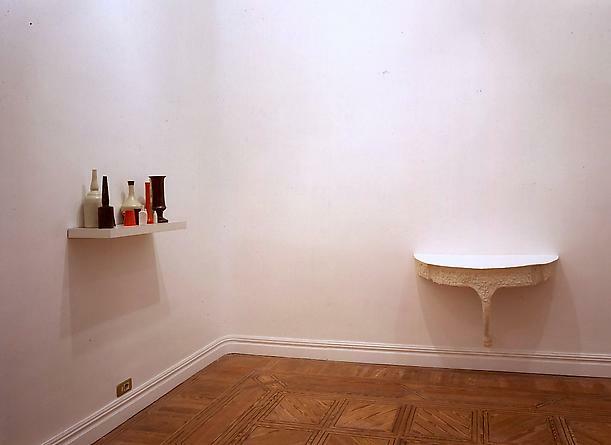 The project she presents under the title of “Fresh”, conceived especially for the space of Javier López gallery, introduces this fundamental domestic reference in the form of two silicone tables, with their fun sexual overtones. Also present are her famous sculptural still lifes that represent an homage to Giorgio Morandi, much admired by Simpson for his sense of time and for what we could call his “serialism”; his series of ceaselessly repeated but forever different still lifes. The exhibition is complemented with a video piece which shows the paring dance of the peacock. Admirable and pitiable, serious and funny, it generates some of the dualities forever present in Jane’s work.